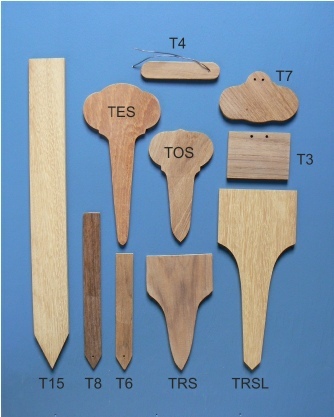 * T15 labels are now made from FSC Iroko which is very similar to Teak. Teak tags are another truly permanent system. 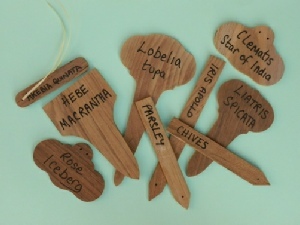 Teak labels blend in with your plants and will weather to a silver grey colour over time. Teak is also a most durable wood and will last for many years. 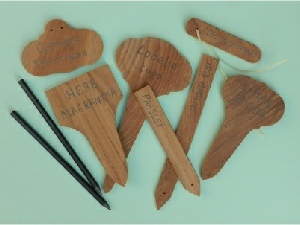 Simple and Easy Labelling : write with an Alitag pencil on any of the teak labels. Both labels and writing will last for years. Sand paper can remove the writing, should you wish to reuse the label. A good indelible pen can also give good results. Each Teak tag is handmade, individually cut, and is 4mm to 7mm thick according to model.